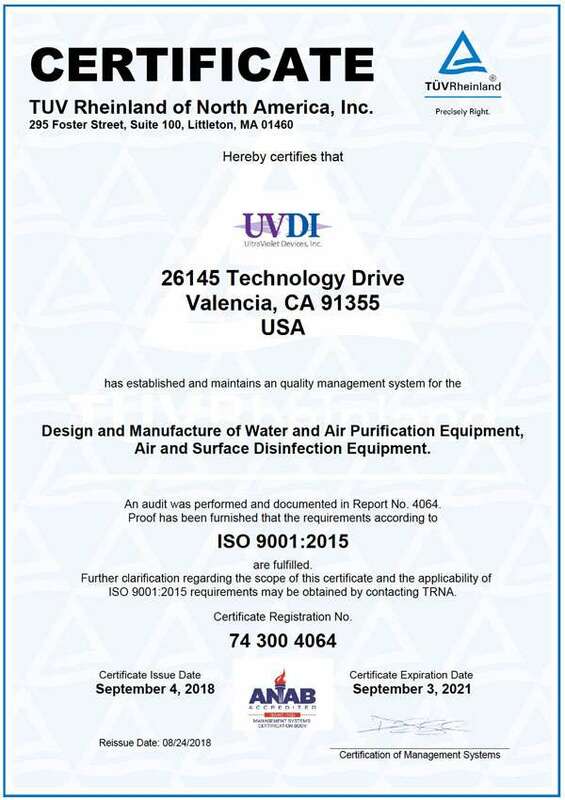 All Altru-V products are manufactured to the highest quality standards in accordance with UVDI's Quality Management System which is certified to ISO 9001:2015 standard. Altru-V products are engineered to comply with the stringent regulatory requirements of UL or ETL. Today, UVDI continues to drive innovation in UV technology. 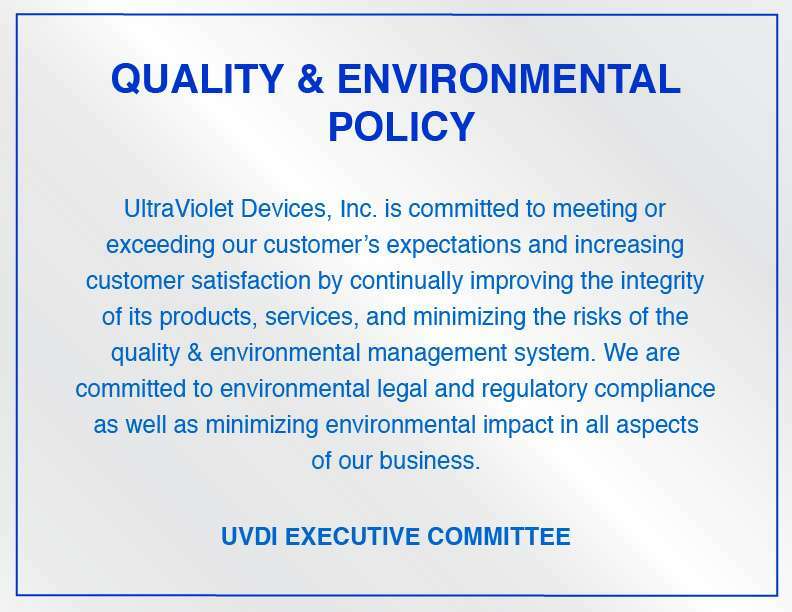 UVDI has assembled one of the world's most capable research and development teams dedicated to the advancement of UV technology for the benefit of people and industry everywhere. UVDI’s Environmental Management System is also certified to the ISO 14001:2015 standard. We see this as an extension of our commitment to operating in an environmentally responsible manner, where we effectively manage and continually improve our processes and impacts to the environment.